A highly concentrated hybrid, buffered base nutrient Can be used throughout the vegetative and flower cycle Whether used in a 2 week or 4 week vegetative cycle it will provide all the macro and micro nutrient the plant requires All input ingredients are chelated and available over a wide pH range On dilution it will pH around 5.5 – 5.8 and should remain stable (any fluctuations between 5.5 – 6.5 should be left for the system to stabilise) Can be used in any growing method, growing medium, indoors and outdoors – simply consult the relevant feed schedule for application rates to suit your system (or develop your own metho..
A highly concentrated hybrid, buffered base nutrient Dedicated vegetative cycle base nutrient More suited to vegetative cycles over 2 weeks Will provide all the macro and micro nutrient the plant requires All input ingredients are chelated and available over a wide pH range On dilution it will pH around 5.5 – 5.8 and should remain stable (any fluctuations between 5.5 – 6.5 should be left for the system to stabilise) Can be used in any growing method, growing medium, indoors and outdoors – simply consult the relevant feed schedule for application rates to suit your system (or develop your own method) CON..
A highly concentrated hybrid, buffered base nutrient Dedicated flower cycle base nutrient Provides all the macro and micro nutrient the plant requires All input ingredients are chelated and available over a wide pH range On dilution it will pH around 5.5 – 5.8 and should remain stable (any fluctuations between 5.5 – 6.5 should be left for the system to stabilise) Can be used in any growing method, growing medium, indoors and outdoors – simply consult the relevant feed schedule for application rates to suit your system (or develop your own method) CONTAINS Chelated macro and micro trace elements, fulvic.. Promotes root development through natural plant extracts Should be used throughout the crop cycle to promote lush white root systems Is an excellent substitute for cloning gel Will help plant cuttings establish roots much quicker than other products – use it on your cuttings when transplanting into your grow system Will aid a plants ability to survive times of high stress eg; lack of water, high temperatures and diseases Can be used to repair root damage that has occurred from root zone infection or failure of watering systems In the ‘bloom Advanced Floriculture’ system you do not need to reduce your fertilizer appl.. 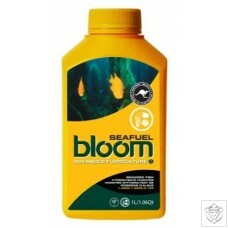 Promotes a healthy plant through fish hydrolysate, natural plant extracts and fulvic acid Cold composted blue fin tuna promotes a healthy root zone through the micro organism that composted the product Assists in the absorption of macro and micro nutrient from the chelating of the proteins and amino acids The cold composted kelp promotes natural hormones, minerals and vitamins that assist the plant in stress conditions Fulvic acid assists the plant with macro and micro nutrient absorption and provides fuel for micro organism multiplication Microorganisms assist in breaking down decaying plant material in the root zone a.. 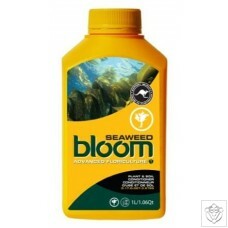 Promotes a healthy plant through natural plant extracts Cold composted kelp promotes natural hormones, minerals and vitamins that assist the plant in stress conditions The kelp utilised in this product survives in extreme conditions of cold temperature and grows substantially on a daily basis In the ‘bloom Advanced Floriculture’ system you do not need to reduce your fertilizer application to use this product Can be used in any growing method, growing medium, indoors and outdoors – simply consult the relevant feed schedule for application rates to suit your system (or develop your own method) CONTAINS Col.. 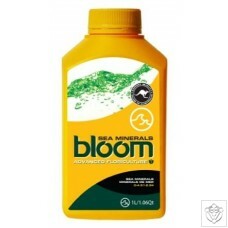 Promotes a healthy plant through natural mineral availability Contains all the minerals that exist in the sea that are not included in nutrient products due to the cost of the refined material These minerals assist the plant to perform at its peak The sodium has been removed during the natural process of condensing the solution via the sun Can be used as a remedy if the plant is suffering from stress and nutrient deficiency If doing a complete organic grow this product can be used as a nutrient supplement together with ‘bloom Advanced Floriculture’s’ other organic nutrients In the ‘bloom Advanced Floriculture’ system .. Promotes a healthy, flavour enhanced plant through natural mineral availability and enzymes from worm tea Contains carbohydrates that fuel microorganism growth assisting in maintaining a healthy root zone The worm tea contains enzymes that assist in a healthy root zone plus other micro organisms that break down decaying plant material in this zone Enhanced flavour If doing a complete organic grow this product can be used as nutrient supplement along with bloom’s other organic nutrients In the ‘bloom Advanced Floriculture’ system you do not need to reduce your fertilizer application to use this product Can be used in a.. Promotes thicker main stem and branches through various natural plant extracts Will increase the amount of branches and reduce the plants overall height Internodes will be closer together creating a bush rather than a pine tree shape Creating more branches equals an increase in the number of flowering sites Promotes darker and wider leaves increasing the plants ability to produce energy and fill your growing area faster Excellent for shaping large crop areas and screen or scrog growing methods In the ‘bloom Advanced Floriculture’ system you do not need to reduce your fertilizer application to use this product Can be.. 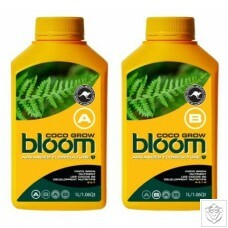 Promotes a healthy plant through natural mineral availability The forms of humate in this product assist the plant to perform at its best by increasing the availability of macro and micro nutrients through it’s natural chelation process Humates are a fuel source for microorganisms to consume carbon and multiply within the growing medium to maintain a healthy system If doing a complete organic grow this product can be used as nutrient supplement together with ‘bloom Advanced Floricultures’ other organic nutrients In the ‘bloom Advanced Floriculture’ system you do not need to reduce your fertilizer application to use this p.. Promotes a healthy plant through calcium and magnesium availability Highly concentrated with calcium and magnesium solubilised with nitrogen Includes chelated forms of iron and zinc to increase plant growth Can assist with cell division – use in the vegetative cycle to keep calcium and magnesium levels high Aids in the uptake of potassium and phosphorus when used in the flowering cycle Can be used as a remedy when the plant is yellow due to lack of calcium and magnesium – an application will increase the chlorophyll levels resulting in higher photosynthetic rates In the ‘bloom Advanced Floriculture’ system you do not .. 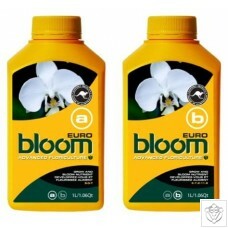 Promotes flower development through various natural plant extracts Best used during the last 2 weeks of flower cycle – the last 2 weeks are when growth slows down and the flowers’ pistillates have started to turn brown. An application of ‘bloom FINAL’ will create new white growth and increase flower size. Harvest within two weeks of first application ‘bloom FINAL’ can be used if harvesting the top canopy first and leaving the bottom canopy to gain more weight In the ‘bloom Advanced Floriculture’ system you do not need to reduce your fertilizer application to use this product Can be used in any growing method, growing me.. 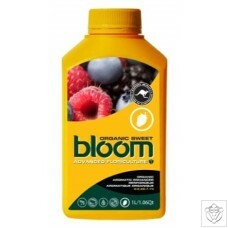 Promotes flower and oil development through various natural minerals and plant extracts Will increase flower size, flower width, flower weight and stimulates essential oil production Stimulates secondary metabolites which aid in the production of terpenoids and polyphenolic compounds The flavour of produce will have an extremely sweet aroma and the oil production will impress connoisseurs The phosphorus and potassium natural minerals are extracted from plants and ancient sea beds In the ‘bloom Advanced Floriculture’ system you do not need to reduce your fertilizer application to use this product Can be used in any gro.. 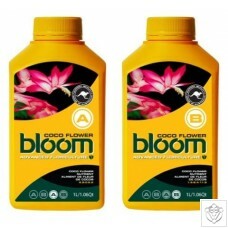 Promotes flower development through various natural minerals and plant extracts Will increase flower size, flower width and flower weight The phosphorus and potassium natural minerals are extracted from plants and ancient sea beds. In the ‘bloom Advanced Floriculture’ system you do not need to reduce your fertilizer application to use this product Can be used in any growing method, growing medium, indoors and outdoors – simply consult the relevant feed schedule for application rates to suit your system (or develop your own method) CONTAINS Various natural plant extracts, natural minerals, fulvic acid, vi.. 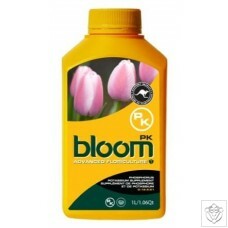 Promotes flowering in the plant through phosphorus and potassium availability Highly concentrated with potassium solubilised with phosphorus Potassium and phosphorus are important elements that promote flowering Only used in a ‘run to waste system’ In the ‘bloom Advanced Floriculture’ system you do not need to reduce your fertilizer application to use this product Can be used in any growing method, growing medium, indoors and outdoors – simply consult the relevant feed schedule for application rates to suit your system (or develop your own method) CONTAINS Potassium and phosphorus. APPLI.. Promotes early flower development through various natural plant extracts Will trigger plants into flower – the method is to apply ‘bloom ULTRA’ while increasing the first dark period to 36 hours Will change the plant from ‘grow’ to ‘flower’ within 3 days – a plants life cycle is to produce flowers and then seeds, by extending the first dark period you will encourage the production of phytochromes so when you return to 12 hour light periods together with the application of ‘bloom ULTRA’ the plant will change to flower within 3 days Plant height will be shortened due to the change to flower in a short period Flowers will on.. Promotes branch and leaf development through natural plant extracts Use as a foliar application during the clone/grow stages Promotes lush, green and healthy plants that will fill your growing space faster Gives plants the ability to photosynthesize more as the leaf size will increase Great for clones as a supplemental feed Use anytime you have issues with nutrient absorption in the root system In the ‘bloom Advanced Floriculture’ system you do not need to reduce your fertilizer application to use this product Can be used in any growing method, growing medium, indoors and outdoors – simply consult the relevant feed ..
Use as a foliar application during the flower cycle Promotes flower development through natural plant extracts Will trigger greater flower production with uniform growth all over the plant The plants will be able to photosynthesize more as the leaf size will be bigger In the ‘bloom Advanced Floriculture’ system you do not need to reduce your fertilizer application to use this product Can be used in any growing method, growing medium, indoors and outdoors – simply consult the relevant feed schedule for application rates to suit your system (or develop your own method) CONTAINS Various natural plant extr..